Fallon previously hosted the 2010 Primetime Emmy Awards, which taught us that his awards hosting persona seems relatively on par with his late night persona. He's inclusive, trustworthy, and, overall, celebrities seem to really like and respect him. (He, of course, seems to really like and respect celebrities too, as evidenced by his buddy-buddy rapport with almost every guest on The Tonight Show.) Which means that, unlike previous host Gervais, Fallon probably won't be taking digs at audience members. His comedy stylings are less dry and controversial, and more bubbly and creative. And it's not just celebrities who have fallen under his spell. The popularity — and not to mention viral nature — of The Tonight Show, only confirms there's something about Fallon that's irrefutably captivating to watch. Gervais, known for his more provocative and confrontational style, hosted the Globes from 2010 to 2012, and then again in 2016. Tine Fey and Amy Poehler took the gig from 2013 to 2015, and, to no surprise, nailed it, bringing their specific tongue-in-cheek humor and BFF chemistry to the stage. As they all come from a similar SNL sketch comedy background, Fallon's stint will probably fall more in line with Fey and Poehler than it will with Gervais. So what to expect from Fallon? Most likely his hosting style will align with the same hosting style that viewers have come to love and appreciate from him so much — the Jimmy Fallon of The Tonight Show Starring Jimmy Fallon. Full of mostly fun, light-hearted humor, innovative sketches, games, and musically oriented productions. And, like The Tonight Show, it's pretty possible that this Golden Globes ceremony will spawn a herd of viral sensations. As 11 million people are subscribed to The Tonight Show's YouTube page, it's clear that Fallon understands the power of likability. With Fallon's acute sense of celebrity, pop-culture knowledge, and overall persona, this will be one joyful show to watch. 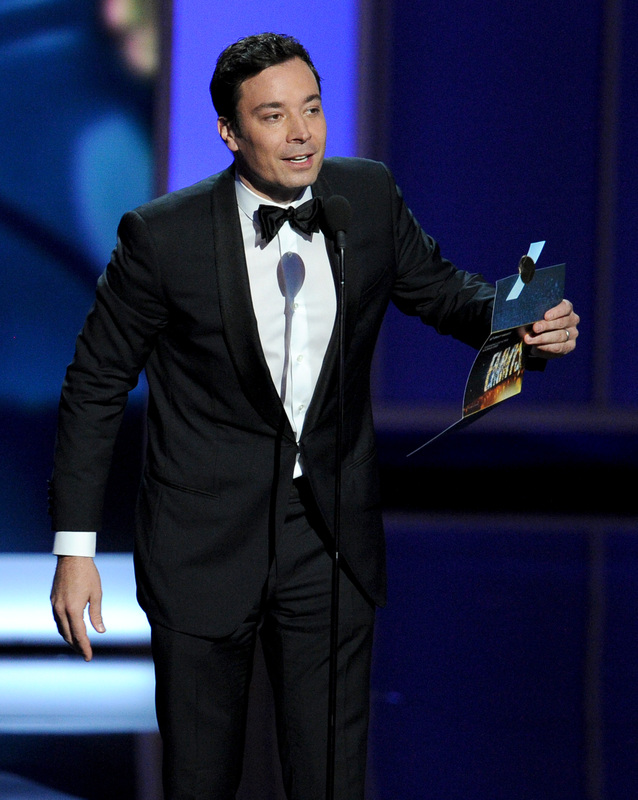 Catch Fallon and the 74th Annual Golden Globes when they premiere on premiere Sunday, January 8, 2017.